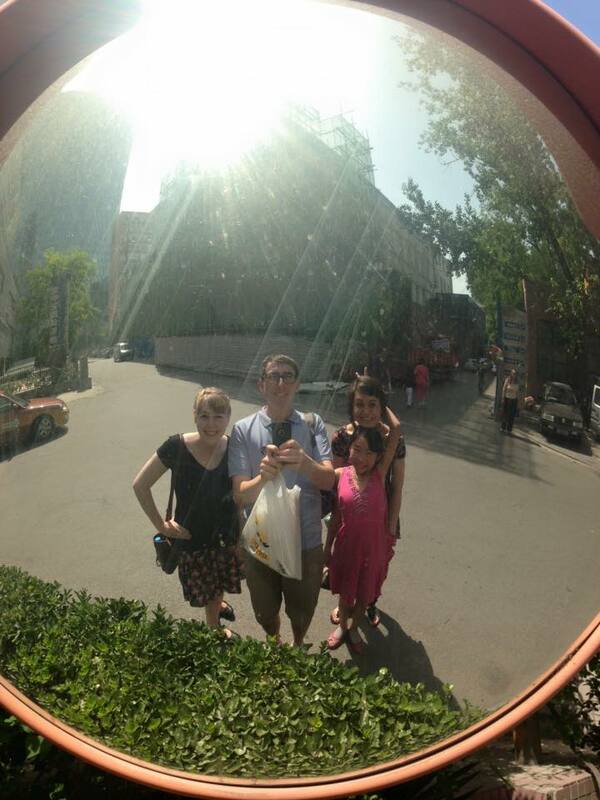 Wednesday was my first day here in China, which I blogged about already. Was a long but great day catching up with everyone here! On Thursday we headed into the city to teach the new summer staff how to get in by public transport. (Summer Staff is the program I am doing this summer at New Day. Summer staff are either here for one or two months). It involves taking a 40 minute bus ride to the nearest subway station and then up to one hour on the subway into the city. It's farily easy going out, but coming home is the difficult part figuring out where to get off the bus. We first went to the Pearl Market, a 5 floor market with different items on each floor (electrinics, clothes and bags, pearls...). We had some fun bartering for things, trying to get a good price. We got some dumplings (jiaozi) for lunch and then moved on to WangFuJing street, which I guess is like the Grafton Street or the 5th Avenue of Beijing. We walked along there and walked through some street markets close by, including the 'snack' section full of scorpions and insects (yum?). It was a fun day getting to know some of the other summer staff a bit better. We got back in time for dinner. Friday was full of orientation and planning. At 8am we have prayer meeting and after that we had orientation all morning. Firstly we had a general introduction to New Day and the summer staff program. We talked about what ND does and also what we will be doing this summer and what is expected of us and how we can make the most of the experience. The others had an 'introduction to Chinese' lesson, which will be followed by 1hr of Chinese class everyday for the next two weeks. I didn't need to do this so I helped with some other things in the Foster Home. After lunch we had foster home orientation, going over the history of the foster home, some of the incredible stories of what has happened in the lives of some of the children and also going through the rules. The rules are there for very good reasons, such as washing hands to prevent infection spreading and staying in assigned areas to not spread germs and to make sure no one area gets too crowded - after all we are in the children's homes. After that I sat down with the volunteer coordinator to plan out summer staff roles for June. We had to juggle people's skills and preferences to have a balanced team. It was fun doing that and feeling trusted, but took some time! Saturday was our day off which involved a bit of sleeping in (till 9:30am, so not too much!) and chilling about. Got to chat to some of the other summer staff a bit, have lunch with one of the Chinese staff and help two of them buy a new bike to use while they are here! It's fun helping translate for people, even with my basic Chinese. In the evening we all watched a movie. 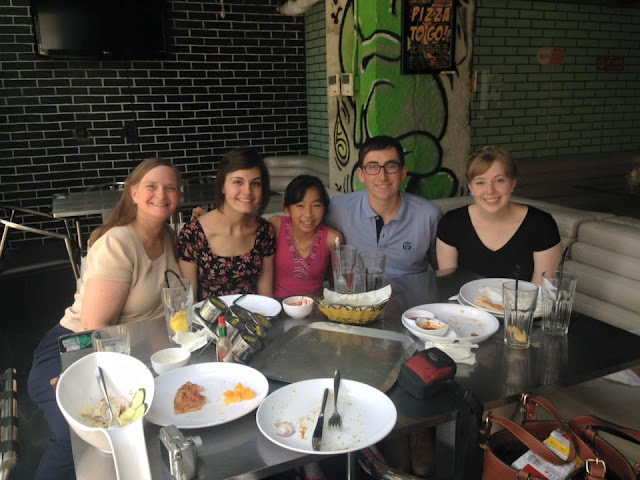 On Sunday we went into the city to the international church and then out to lunch. We had to rent a big bus to take us all (summer staff and long term staff and their children). We got up early and went to the 9am service, leaving New Day at 7:15am. 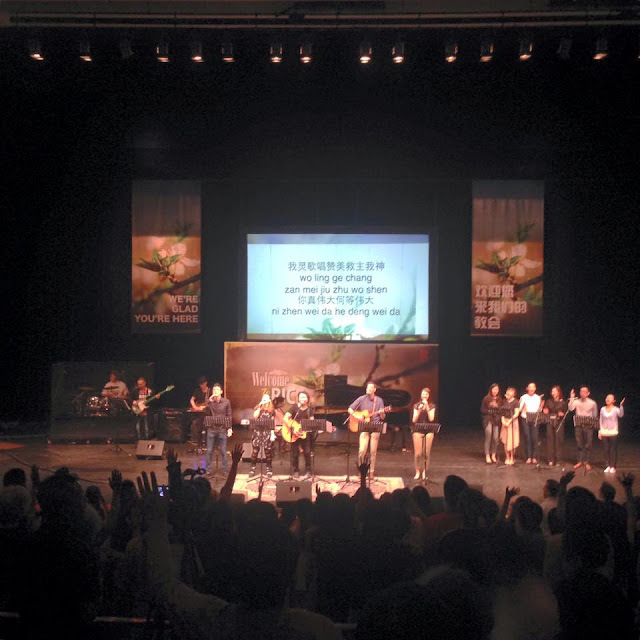 This morning was actually a bilingual service which was cool as half the songs were sung in Chinese and half in English. After we went for lunch and had a few different options. 5 of us went to Kro's Nest and had some great pizza! We even had some leftovers. We also stopped by the imported store and I bought some pasta and pesto for those days I can't eat any more rice or noodles! The real work starts on Monday and we are all looking forward to getting to spend more time with the kids and experience more of New Day! That's all for now, it's been great having a few days to get used to the time difference again and not be too busy. I am very excited for what is to come this summer!